A research vessel working off the coast of Australia has discovered a series of seamounts. These features are somewhat like mountains on the surface of the Earth, except for the fact that they arise directly from the seabed. Therefore, seamounts are located deep underwater and are also volcanic. Now, despite their location, researchers believe that they could be important to life. This find should boost the marine biology in the area around Tasmania, the large island off the coast of Australia with which the new seamounts are associated. 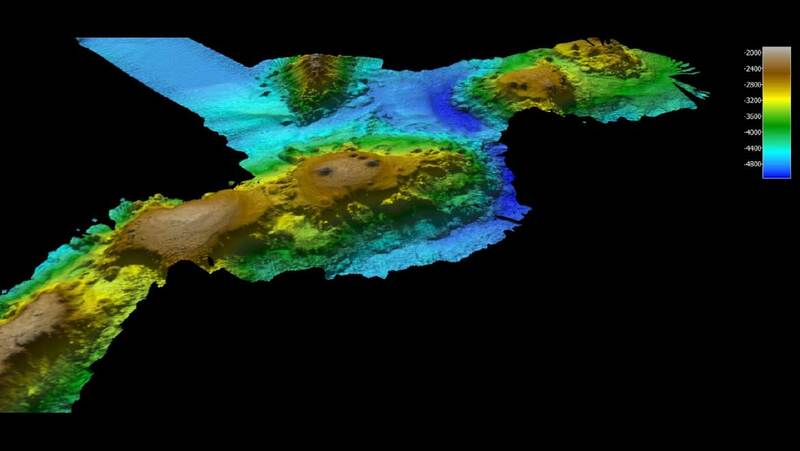 Certain underwater volcanoes were discovered by the research vessel, Investigator. This ship is part of the research arsenal of CSIRO, Australia’s science agency. The mission was a 25-day journey on the part of Australian National University (ANU) scientists. The study's researchers deployed Investigator’s advanced panel of multi-beam emission technology in order to map a part of the sea floor, about 400km off the coast of Tasmania. This resulted in high-quality images of the seamounts. It was then reported that these features are present in a chain in the deeper waters beyond the island. The seamounts had lain undiscovered for so long as they are located nearly 2000 meters below the surface of this sea. Despite this, they rise as much as 3000 meters off the actual sea floor. The mountains are also surrounded by an underwater plain with a depth of about 5000 meters below sea level. In addition, a member of the mapping team, Dr. Tara Martin, noted that the seamounts were of different shapes and sizes. Some had sharp peaks, she reported, whereas others had more rounded, bowl-like upper levels. These plateaus even had their own hills. These features are associated with volcanic activity. However, if this chain had experienced such activity, it should have been far back in the past. The researchers also found that the seamounts appeared to be very conducive to marine life. They reported on evidence that there was a high level of phytoplankton in the area. This may explain why the ship’s crew saw numerous pilot and humpback whales when they sailed directly over the seamounts. A team from the organization, BirdLife Tasmania, led by Dr. Eric Woehler, was also aboard Investigator for the research voyage. They reported sightings of 28 individual humpbacks while over the seamounts, as well as a large school of pilot whales. The BirdLife team also claimed to have spotted petrels and albatrosses within that location. In all, there were four sub-species of each of these seabird species. Therefore, the seamount chain may support at least one critical ecosystem to draw so much marine life to it. This preliminary set of findings is supported by research on other seamounts elsewhere on Earth. 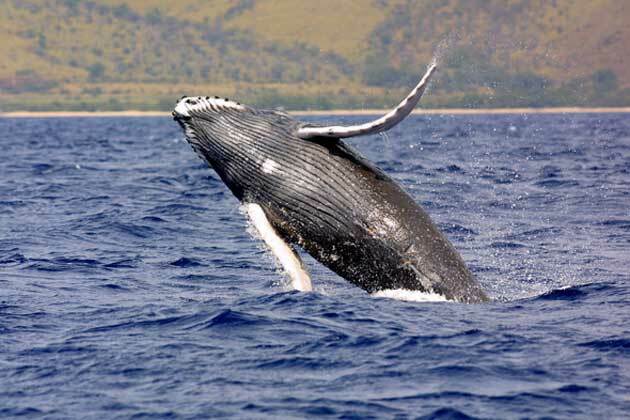 Marine scientists assert that they are important ‘landmarks’ for animals, such as whales as they swim from place to place during their great migrations. The whales may also use them as ‘meeting points’ for social phases in their lives. Therefore, CSIRO now intends to study the seamounts in further detail for future research missions. The voyages are scheduled for November and December of this year. CSIRO plans to include procedures such as rock-sample collection and high-resolution seamount video recording using specialized cameras in the course of these exploratory missions. Additionally, Dr. Woehler will also be present on at least one of these missions in order to study the chain’s birdlife in more detail. The agency intends to use findings that may result from these activities to conserve and protect the seamount environment. Therefore, these seamounts and their study may be a significant boon to Australian science. This is particularly true as CSIRO shares its data with other research institutions in the country, and with their research partners worldwide. Therefore, many marine scientists and biologists will have the chance to examine the data on the new undersea volcano chain in detail. Also, the discovery of such an apparently rich platform for marine life may be encouraging for conservationists and others concerned with detriments to life and its diversity in the wild.